Wow, it has been quite some time since we updated this blog. Amongst the things that kept us busy are upgrading our CEPH storage capacity and unrolling a major upgrade to CloudStack 4.2. But the biggest thing of all is an important new feature that we’ve worked very hard to bring out – snapshot backups. 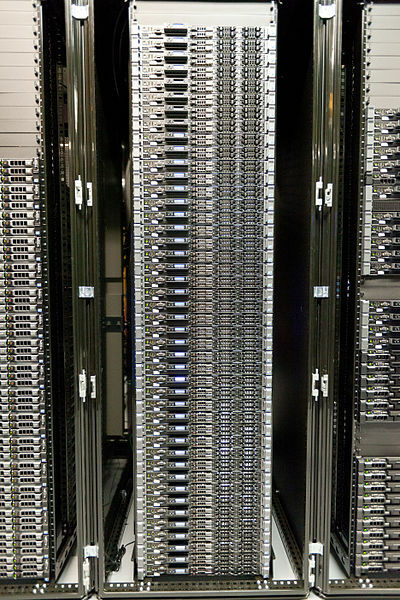 A snapshot backup is a way for high-availability systems to avoid downtime and still enable backup by performing the backup on a snapshot—a read-only copy of the data set frozen at a point in time—while allowing applications to continue writing to their data (definition partly taken from Wikipedia). This is a major feature crucial to any system administrator’s server management strategy. And we are pleased to announce that snapshot backups of our customers’ servelets is now available after this major upgrade. With this new feature, customers can perform snapshot backups of both the root-disk and data-disk of their servelets, directly from our customer’s portal. This feature is chargeable based on the size of the snapshot backup and how long the snapshot is being stored in our storage system. How do you make a snapshot backup? To make a backup snapshot of either your root-disk or data-disk (or both), you can log in to our customer portal, choose Services > Simple Menu / Power Menu (depends on your servelet’s category). 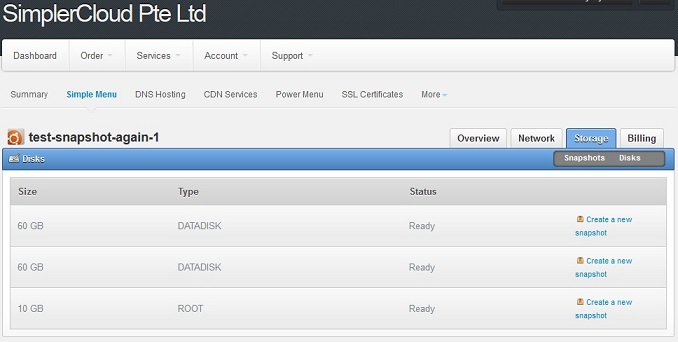 Click on the hostname of your servelet, then choose Storage > Disks. You will see the list of your disks (both your data-disk and root-disk). To make a snapshot of either the data-disk or the root-disk, click on “Create a new snapshot” next to the disk. There will be a prompt: “Are you sure you wish to create new backup?”, click “OK”. Snapshots will take some time, depending on the size of your disk. Once snapshot is completed, the status of the snapshot will change to “Built” instead of Pending. How can you restore data from the snapshot backup? You can find the above two information from your servelet control panel > Storage > Snapshots. We will then convert the snapshot into a disk volume, and temporarily attach the disk volume into your existing servelet, so that you can copy the data over to your servelet. Once you have done with the copying, we will detach back the temporary volume. At the moment, the process has to be done manually. However, we are looking into possibility of making this process automated for the convenience of all our customers. This entry was posted in New, Services and tagged backups, snapshot. Bookmark the permalink.